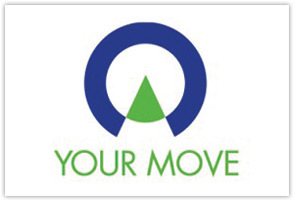 Local letting agent, Your Move, is celebrating following the announcement that its website, www.your-move.co.uk – has won a much sought after national award and, in celebration, is launching a new prize draw with the opportunity for entrants to win one of five prizes of £100. The news comes following Your Move’s success in winning a Silver Award for the Best Lettings Agency website https://www.your-move.co.uk/about/awards at the highly respected Lettings Agency of the Year Awards – as sponsored by the Sunday Times and Times – when its website was acknowledged as ‘one of the best’ in the UK – adding to its already impressive title of being the most visited estate agency website in the UK . The prize draw – which runs from now until 6 September 2015 – encourages visitors to the website and, at the same time, take the opportunity to simply tell Your Move where in the UK they would most like to live. In September the names of those who have taken up this opportunity will be entered into a prize draw with the winner picked at random and announced online. “We’re obviously delighted to have won the Lettings Award which comes following the significant efforts of Your Move to re-launch our website earlier this year. As the award judges highlighted it has undergone a complete redesign and, as well as bringing an array of improved and new online tools for visitors, is now compatible with all mobile devices and platforms.